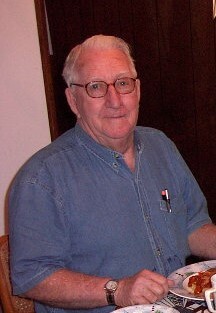 Hubert I. Coss was born on July 9, 1928 in Marietta to Hubert Chalmer and Hazel Catherine (Pentz) Coss, and this year he will be celebrating his 90th birthday. Coss is a 1946 Marietta High School graduate and was employed by American Cyanamid from 1950, until he took early retirement in 1986. He married Madeline Vannoy on June 9, 1950 — they just celebrated their 68th anniversary. They have four children, Debby Coss, Rick Coss (deceased), Connie Dye and Cathie Lockhart; 10 grandchildren; and nine great-grandchildren. He also has one brother, the late Ronald Coss. For the past 30 years they have been Snow Birds, spending their winters in Palm Coast, Florida, and their summers in Marietta. A celebration was planned for Sunday, July 8, 2018.